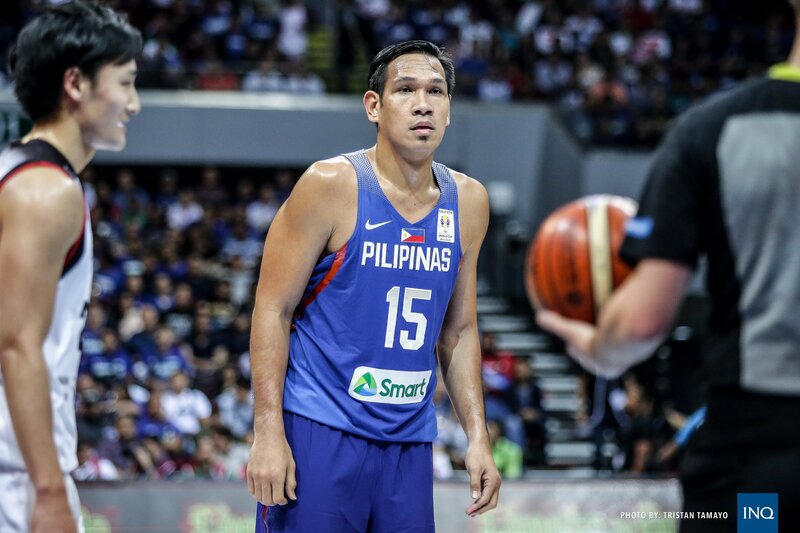 For the first time in team history, superstar center June Mar Fajardo will join forces with Greg Slaughter to create a towering frontcourt for Gilas Pilipinas in the Fiba World Cup Asian Qualifiers and there’s one man who’s truly excited to coach two behemoths in one team. “For the first time in a long while, you will have June Mar, Greg, and Japeth [Aguilar] playing together with [Andray] Blatche,” said head coach Yeng Guiao. Gilas usually had the trio of Fajardo, who won four straight MVP awards in the PBA, Aguilar and Blatche but never had Slaughter to complete the fearsome foursome. Blatche, though, won’t be able to play with the team on Nov. 30 against Kazakhstan due to his three-game suspension for getting involved in the brawl during the Philippines’ game against Australia in the previous window. The gigantic frontcourt will be complete on Dec. 3 when the Philippines faces Iran at Mall of Asia Arena. Injuries prevented the 6-foot-10 Fajardo and the 7-foot Slaughter to suit up against Iran in Tehran as the Philippines lost the game 81-73 on Sept. 13. Both centers, however, have fully healed and Guiao said they won’t be sacrificing that much speed as Fajardo has shown he’s capable of running the break. “We won’t be that slow because June Mar can run,” said Guiao. In lieu of Blatche’s absence in the first game of the window, Christian Standhardinger, Fajardo’s teammate in San Miguel, and Stanley Pringle are being looked at as the naturalized player to play for Gilas on Nov. 30 against Kazakhstan. Also in the pool for the upcoming window are Jayson Castro, Terrence Romeo, Troy Rosario—who will all be able to play on Dec. 3 after their suspensions—, Paul Lee, Gabe Norwood, Alex Cabagnot, JP Erram, Scottie Thompson, Marcio Lassiter, Raymond Almazan, Ian Sangalen, Allein Maliksi, Beau Belga, Matthew Wright, Kai Sotto, and Asi Taulava.